I have had acupuncture maybe 10 times before. Sometimes, I feel that it provides relief, and sometimes, unfortunately, it does nothing for me. Like everything, I believe that each experience is unique, and that a lot of other factors contribute to the results each time. I would never say that it doesn’t work — in fact, I’ve had more positive experiences than negative ones — but I also could not sit here and promise you that it does work. Every person is different and the way that every patient responds to any treatment – traditional or alternative – may vary. What I can do, though, is provide you with some facts and statistics about acupuncture, particularly as it relates to arthritis and inflammatory conditions. 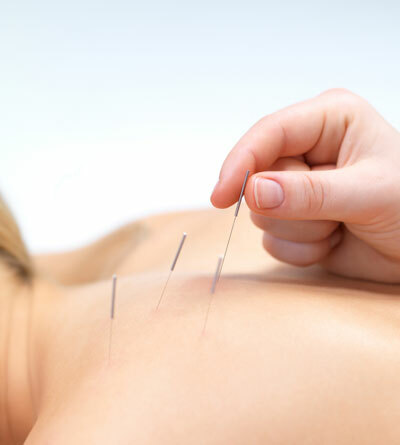 Most doctors – whether traditional or naturopathic – will agree that, generally speaking, acupuncture is widely considered as safe, as long as it is done in a clean, professional environment using sterile needles and when practiced by a professional. It is an all-natural, drug-free therapy, with little chance for side effects or infection. The only groups of people that it is not advised for are those with pacemakers and anyone with a bleeding disorder. Most acupuncturists and practitioners of Chinese medicine will state that acupuncture can “heal” the following: anxiety, addiction, arthritis, asthma, carpal tunnel syndrome, chronic fatigue, colitis, common colds, depression, digestive disorders, facial palsy, fatigue, fertility problems, fibromyalgia, headaches, lower back pain, menopause symptoms, osteoarthritis, PMS symptoms, sciatica, shoulder and neck pain, sinus problems, tennis elbow, trigeminal neuralgia, and wrist pain. Of course, there is no medical “miracle” out there that will “cure” all of the above conditions. However, the term “heal” is used loosely here, as in, acupuncture can help heal some of the symptoms associated with these afflictions. Even folks with cancer, multiple sclerosis, and autoimmune conditions have been known to benefit from the feel-good effects of acupuncture. Rheumatoid arthritis and lupus patients also do well. If you live with arthritis you know that there are days you’ll “try anything” to feel better and rid yourself of pain. Acupuncture may be worth a try — in conjunction with your regular medications and treatments, however. In fact, Arthritis Today Magazine lists acupuncture as one of many “alternative” or “integrative” ways to manage your RA in a complementary fashion. It also can help osteoarthritis sufferers. A 2004 study showed that patients with OA of the knee experienced a 40% decrease in pain and a 40% increase in function after receiving a series of acupuncture treatments. First, it is important to understand that the practice of acupuncture and Traditional Chinese Medicine view the “causes” of these conditions in a different light than traditional Western medicine does. Causes of any form of arthritis from a TCM perspective are as follows: weakness or deficiency of internal organs, constitutional imbalance, changes with the quality or quantity of Qi, or blockage/inadequate flow of Qi. Qi is the vital energy that “animates the body and protects it from illness.” In a Western sense, we could equate these views as our view that RA, for example, is an autoimmune condition — in both cases, our own body is causing ourselves harm. TCM states that the “Qi” flows through pathways throughout our body called meridians, providing nourishment for every cell, tissue, muscle, and organ. When there is a problem with the Qi, physical symptoms may result. If the Qi issue is chronic, your symptoms will be chronic, and so forth. Most modern practitioners of acupuncture ask you for a complete medical history and encourage you to still see your regular medical doctors. They also recommend a healthful and balanced diet, proper rest and hydration, sleep, stress relief, and exercise as part of the treatment aside from acupuncture and your medications. Acupuncture can help autoimmune diseases, too, by strengthening the immune system, reducing stress, and possibly reducing pain. The Arthritis Foundation supports acupuncture, too. “More than 2,000 acupuncture points connects to the meridians. Stimulating those points with needles may correct the flow and alleviate pain,” says the Arthritis Foundation website. The site also shares the following useful information. “Tim Rhudy, a licensed acupuncturist in the department of pain management at the Cleveland Clinic in Ohio, explains that acupuncture diminishes pain by ‘untying muscular straitjackets – releasing tight, spasmed, shortened muscles to their resting state.’ And there’s more: Acupuncture tells the body where the battle is. When you cut your hand, the body sends help to the injury site. Likewise, when a needle is inserted into an acupuncture point, the body pays special attention to the micro-trauma and emits healing factors,’ says Rhudy. So, you may think it’s wacky — but it could very well be worth a try! It can be pricey, but most insurance plans will have some sort of coverage for acupuncture, and, if not, some acupuncture clinics will work out payment plans. Have you tried acupuncture? We’d love to “needle” you for more info — please share your experience by leaving a comment! Thanks for reading! Tags: acupressure, acupuncture, Acupuncture for arthritis, acupuncturists, alternative treatments, Arthritis Ashley, Arthritis Blog, Arthritis Foundation, arthritis pain, Arthritis Today, Arthritis Today Magazine, arthritis treatments, Ashley Boynes, Ashley Boynes-Shuck, Autoimmune, CFS, Chronic Illness, chronic pain, Cleveland Clinic, complementary treatments, disease, fibro, fibromyalgia, Health, health care, healthcare, holistic, Human Body, illness, infertility, Inflammatory Conditions, integrative medicine, Juvenile Arthritis, lupus, Mayo Clinic, Mid Atlantic AF, Mid Atlantic Region, Naturopathic Medicine, OA, Osteoarthritis, pain, pain management, patient stories, RA, Rheum, rheumatic disease, rheumatism, Rheumatoid Arthritis, SLE, Spoonie, Spoonies, TCM, Therapy, Traditional Chinese Medicine, Washington DC, Wellness, Wholistic Acupuncture. Bookmark the permalink. this is great, really enjoyed reading it and agree with everything it is saying. i think acupuncture is a brilliant form of healing. network wellness is a website which brings practitioners together.